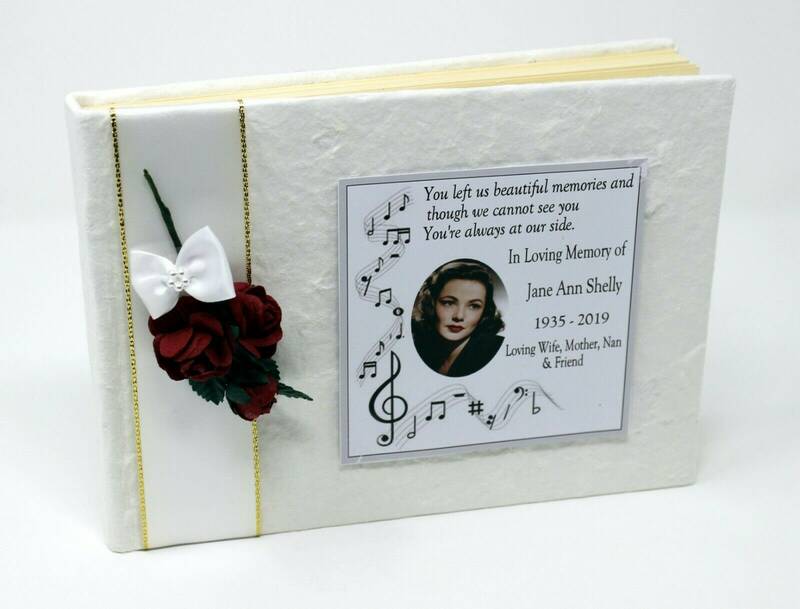 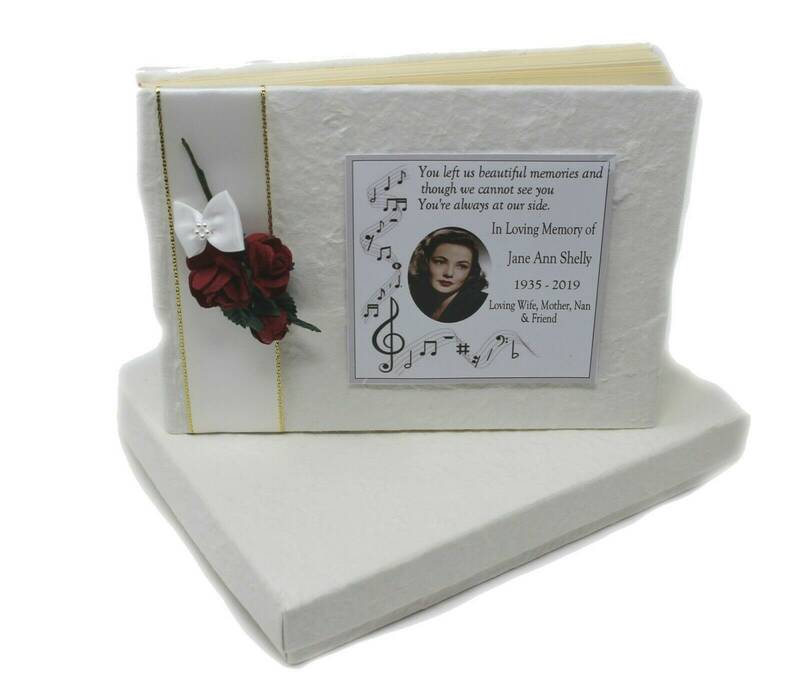 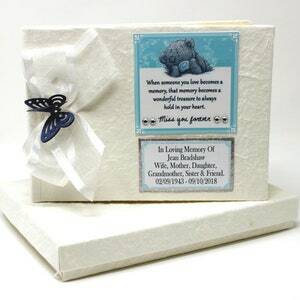 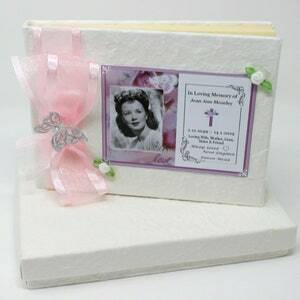 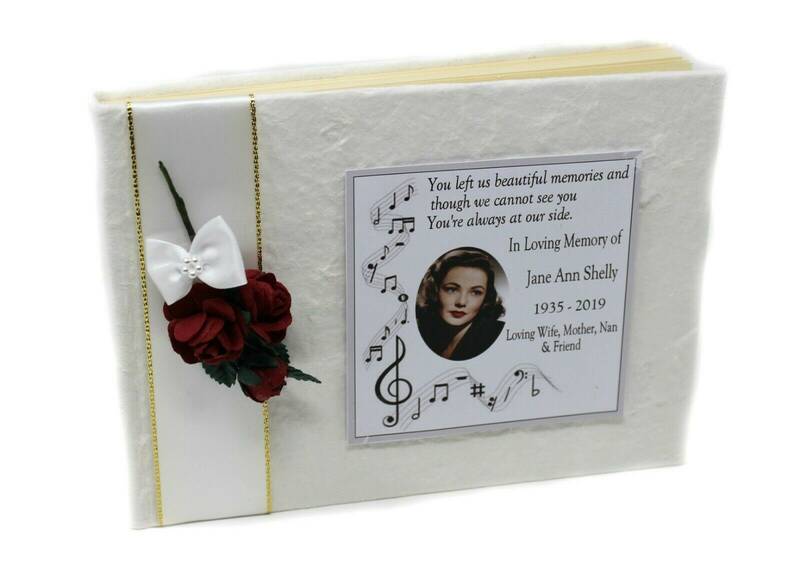 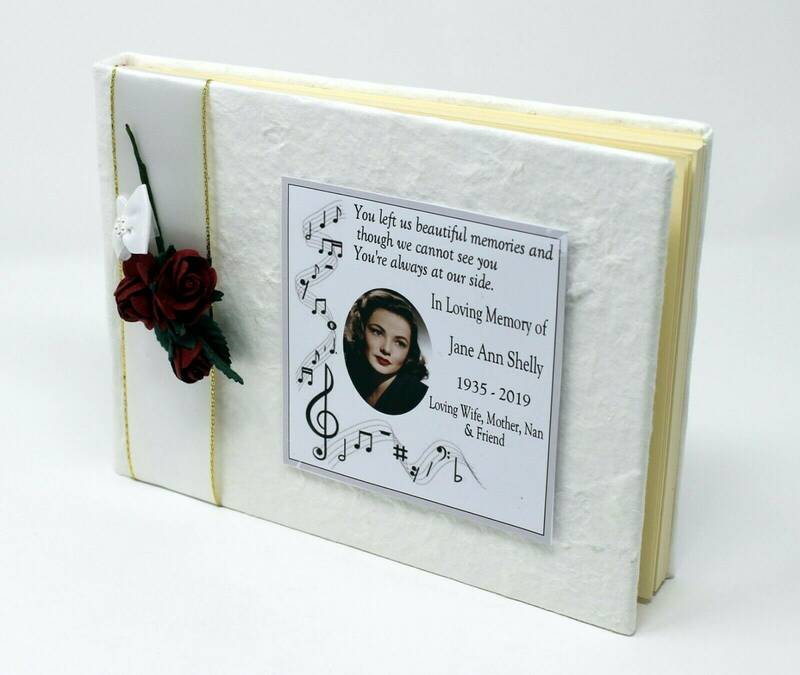 Personalised Memorial Guest book personalised with details & Photo added to cover. 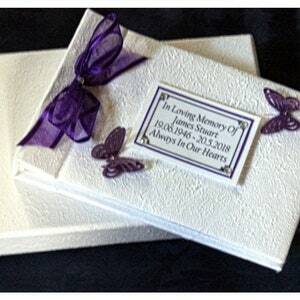 will depend on the photo you send. 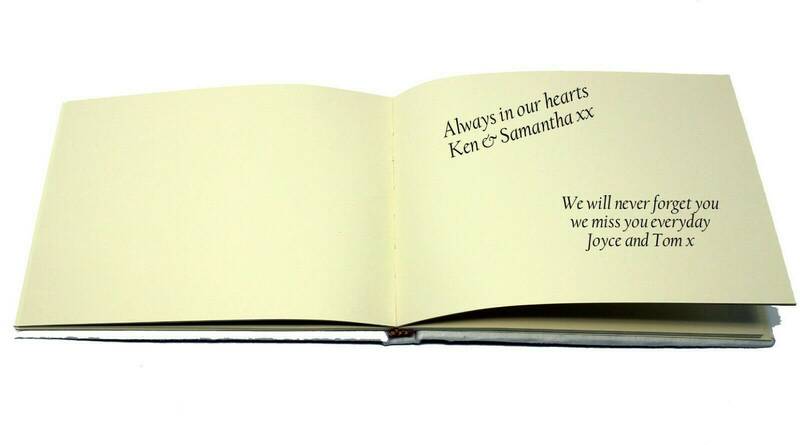 Now with 40 leaves (or 80 pages).